Apple's brief affair with luxury fashion was always at odds with the company's ideals. 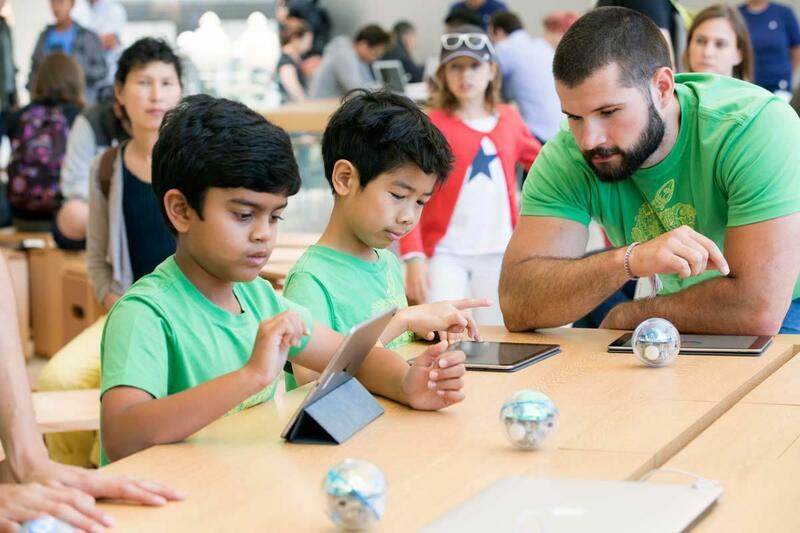 Far on the other side of the world, an Apple store is dying. 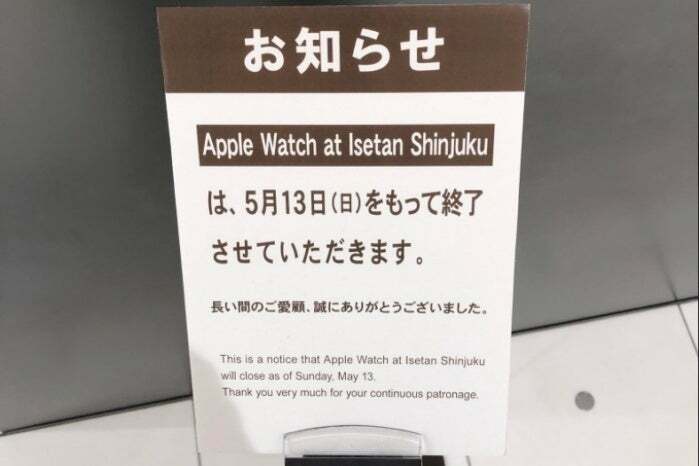 It’s not the usual blocky space filled with randos checking their email on carefully arranged display iMacs, but rather the last dedicated Apple Watch boutique in Tokyo’s Isetan Shinjuku department store. Apple probably would prefer you not know about it, and indeed most of the world learned about its May 13 shutdown not through an official announcement but rather from a tweet depicting a simple printout. Only three of these stores ever existed—the last two died back in London’s Selfridges and Paris' Galeries Lafayette early last year—and this one’s closure seems to mark the last gasp of Apple’s push into explicit luxury marketing. Good riddance. May we never see its like again. The closure notice, as seen in a tweet from Shotaro Akiba. Never before was Apple so unintentionally successful at making a mockery of itself than it was in the early days of the Apple Watch. Even The Onion may not have anticipated that a company known for pricey items would slather an Apple Watch in 18-karat gold and slap a $10,000 to $17,000 price tag on it. Apple, a company known for making devices that people seek out of their own volition, found itself practically begging celebrities like Beyoncé and Karl Lagerfeld to slap its lavish new watches on their wrists. It was embarrassing, in a way, as it reeked of the trend of celebrities praising their sponsored non-Apple devices from the comfort of their iPhones, save that this time Apple was on the receiving end. But more importantly, never before had Apple strayed so far from Steve Jobs’ claim to Fortune in 2008 that “Apple’s DNA has always been to try to democratize technology.” At its best, Apple is inclusive; an equalizer—a goal reflected in colors of the rainbow that streaked through the logo for two decades. You get that sense in the stores themselves, which pop up in popular city squares and where CEOs and design school students alike gawk at the latest products around tables resembling workbenches. Even today, I got some satisfaction out of reading Kanye West’s bizarre musings on Twitter and realizing that the MacBook Pro this multi-millionaire uses isn’t all that different from my own. Even today, when the Apple Watch Edition is ceramic rather than gold, Apple emphasizes how unattainable it is for most people. Luxury fashion marketing places a big emphasis on making the buyer feel “special,” and the boutique stores were specifically built around that emphasis. In fashion, there’s a constant sense the buyer needs to be convinced or even pandered to. By contrast, people mainly seem to march into Apple Stores because they’re already set on buying something. Apple’s best products feel transformative—like something you need—which conflicts a bit with the definition of luxury as something expensive yet not necessary. Is the closure at Isetan Shinjuku a failure for Apple? Hardly. Rather, it represents a triumph of the effectiveness of Apple’s original “technology for everyone” attitude over Apple’s own attempts to warp it. 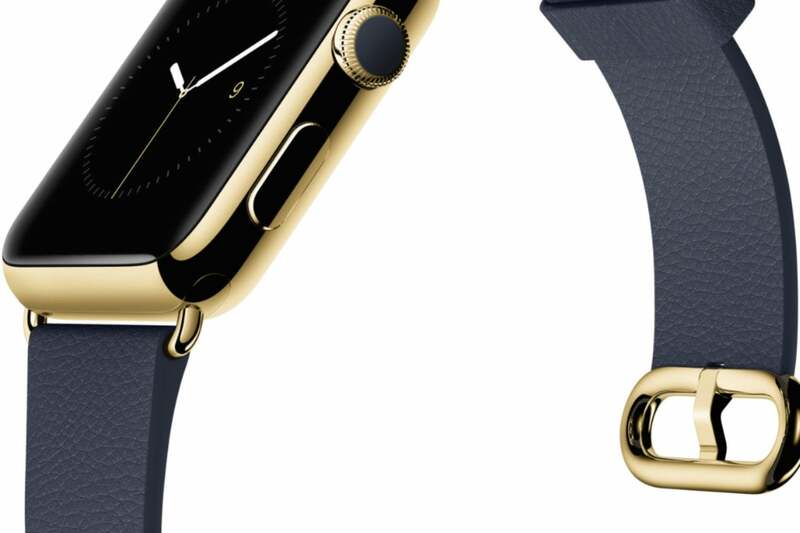 It’s not as though the Apple Watch itself is hurting without a ridiculously expensive gold casing, as our affiliated International Data Corporation (IDC) estimates that 8 million Apple Watches were sold in the last quarter. That’s a whopping growth of 57.5 percent over the same quarter in 2016, and it’s notable that Apple reached these sales in part by focusing on the Apple Watch as a device for everyone beginning with the Apple Watch Series 2. Apple isn’t even a failure in the same shopping center. In fact, the simplest reason for the closure in Isetan Shinjuku is that there’s now a full-on Apple Store a few steps away. The $10,000+ Apple Watch Edition, which sold for as little as $686 at the Isetan store’s closeout sale. Apple stopped selling it online back in 2016. It’s even possible the luxury push played some role in that success, pyrrhic though it may have been. 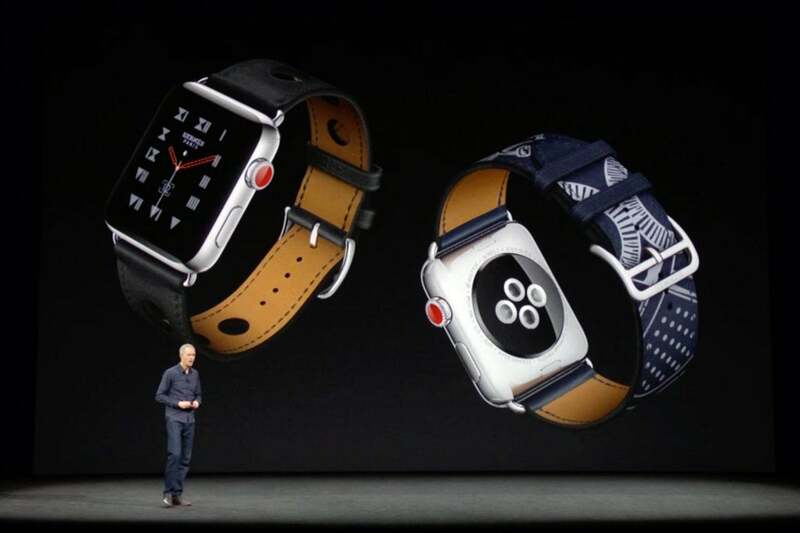 After all, at launch the Apple Watch was a new player in a field of smartwatches dominated by fitness trackers that spent much of their time drenched in athletic sweat, and Apple needed to distinguish itself. But much as it did with the iPhone, Apple would have been wiser to show us how it took a mundane concept and made it do so much more. As it has so often in the past, it needed to show us that utilitarianism need not exclude elegance. But elegance isn’t the same thing as extravagance. Apple fell into the trap mixing up the two sometime after Jobs’ death, and it was getting comfortable in there when it hired former Burberry CEO Angela Ahrendts as its VP of retail in 2014. Ahrendts had done phenomenal work making Burberry a force to be reckoned with alongside Prada and Gucci, and at the time tackling the luxury fashion market seemed like a logical extension of the company’s seemingly effortless ability to pile up mountains of cash. Even one of our own writers got caught up in visions of Apple ditching maple tables for oak and swapping the untucked T-shirts at the Genius Bar for something more graceful. In the early days of the Apple Watch, you’d have to make reservations to even handle the new timepiece. What rubbish. Apple has always been careful to distance itself from gatekeeping, and for good reason. Doomsayers like to gripe about the ubiquity of the iPhone, but I find there’s a beauty to the universality of that experience. There’s a sense of shared community when I see that blue pop up in an iMessage from a new contact. And most importantly, I like knowing that Kanye West’s MacBook Pro or iPhone is no different from my own. I don’t think it’s a stretch to say that Apple’s fortunes started turning around when it started seeking out this universal appeal again after the thunderous success of the iPod, and its continued success relies on maintaining this vision. Luxury items have technically long been apart of the Apple experience, of course, but it works best when other parties do the heavy lifting of the marketing. If you somehow find something too hoi polloi about your $1,000 iPhone X, for instance, you could always fancy it up with a leather case from the likes of Pad & Quill. In that regard Apple is on the right track with the Hermès Apple Watch bands, as they mainly focus on peripheral attachments rather than the device itself. And if people want to associate Apple with luxury in spite of all this, fine, let them. But let people make that association on their own. When Apple itself starts forcing that association as it initially did with the Apple Watch, it smells like something’s rotten at the core.